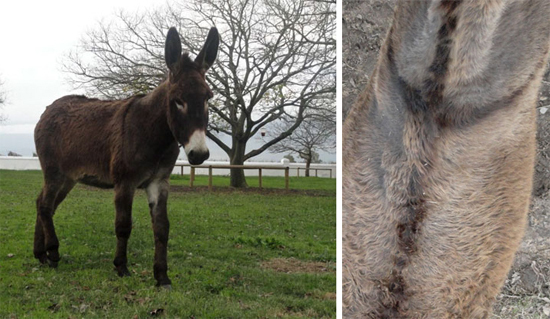 We’ve introduced our donkey family on this blog before, and thought you might like to know a bit more about these two gentle beasts who live near our wine-tasting venue. Meisiekind, our oldest, has been on the farm longer than most of us. 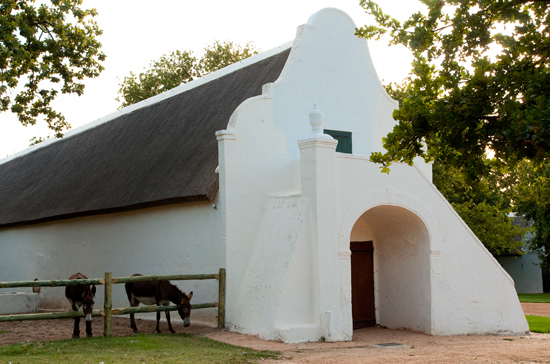 At first, all the donkeys on the farm found new homes, but Meisiekind had loved it so much at Babylonstoren that she came back to stay. She is an Ethiopian donkey, also known as a “Jesus-donkey”, because of the cross on the back (see pic below). Donkeys love company, and Meisiekind was getting lonely, so André and Stefan fetched a Spanish donkey called Ben, all the way from Onderberg. Eleven months later, Meisiekind gave birth to Lulu (named by Benjamin and Oom Gulam), and this mother-daughter team now spend their days together, while Ben has gone off to greener pastures. 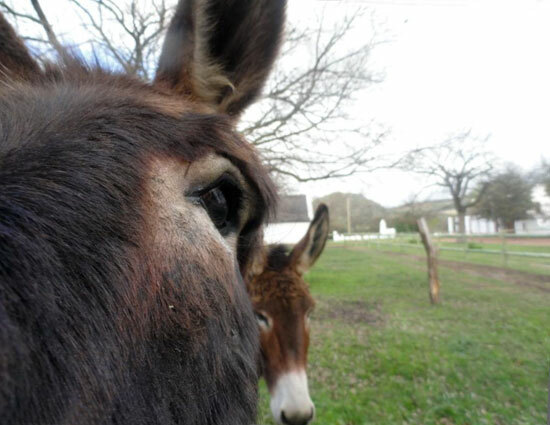 As you know, food is very important here at Babylonstoren, and our farm donkeys share this interest with us. 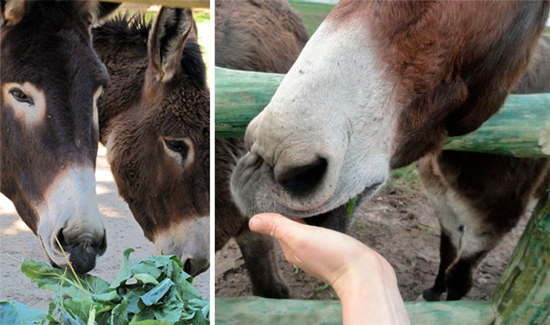 Kids and adults alike enjoy petting and feeding Meisiekind and Lulu, and they seem to enjoy it just as much. Of course our donkey family is not dependent on guests for their daily meal: David feeds them lucern as well as fallen guavas and extra vegetables from the garden. Carrots and cauliflower are their favourite. Such social eaters are they, that we even invited them to our end-of-the-year function! Their crib was put inside the venue, so they popped their heads through the door over the cross-bar to join in the fun and the food! 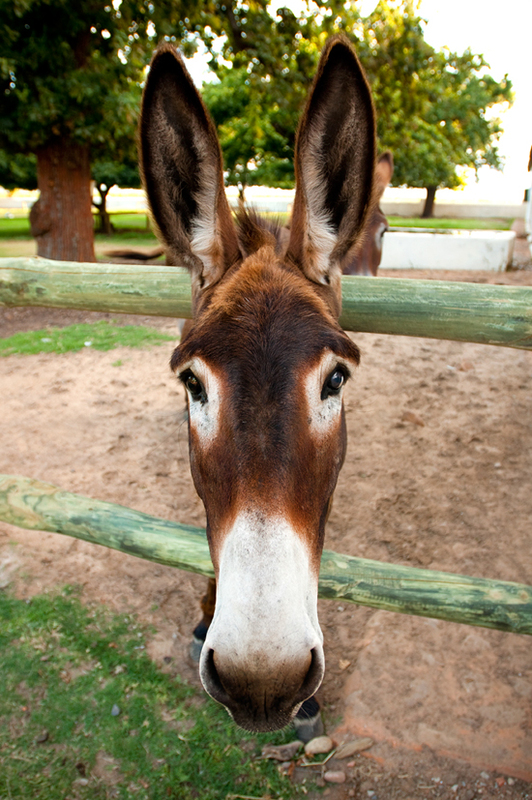 Don’t forget to stop by and say hello to our friendly donkeys next time you taste some wine. Even if they are standing way off in the distance, they will gladly come over to the fence for some love and attention!